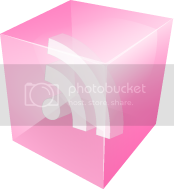 Have you heard of Ciao Bella? If you haven't, you should definitely check them out! Ciao Bella's line of bath and body products are all natural, they combine natural botanicals, vitamins, minerals and essential oils for products that pamper your body and nourish your skin. This means that you can now have fantastic bath and body products without slathering chemicals all over yourself in the process! Could your skin use a little TLC? Check out their Conditioning Vegetable Soap - Handmade the old fashioned way in small batches and made with the highest quality botanicals, flowers, herbs, saponified olive, coconut, soy oils and essential oils. This is one soap that won't dry out your skin (and it comes in so many great fragrances!). We're all concerned with the chemicals in children's products - especially when you can't even tell where they're made! 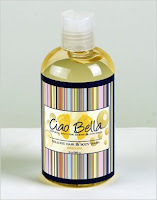 Ciao Bella has a complete line of Children's Bath and Body products! Today is the very last day to enter to win a hand-poured soy wax candle in Mulling Spices Scent from Ciao Bella. Don't miss out on your chance to enter - This giveaway ends tonight at 11:59 pst. This is the best stuff you will ever use on your body! I have stalked up on the body wash and body lotion for Christmas gifts. My Mom can't live without the hand and body cream. Definitely a must above and beyond those mall store items!